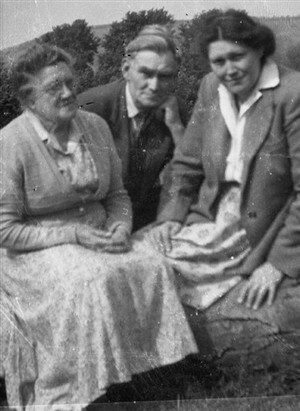 My Mum, Daphne Boyle, lived in Newhaven and we, my three sisters, my brother and I, used to spend every summer holiday there with our Grandparents (Mrs Lilian and Mr David Boyle). My Mum had a twin brother called David who worked for the railway, as did her Dad and both of them were train drivers. I have many fond memories of spending days on the beach in the 'Bite', playing in the waves, especially of swimming in on the waves caused by the 'wash' from the ferries that sailed in and out of the harbour throughout the day. The old photos on this site are wonderful to see, as some of them have brought back memories of the town that I had forgotten. We went to Newhaven with Mum during the 1960's and, at first, we stayed with our Grandparents who lived at 27 Second Avenue, then after a few years we stayed in a caravan on the caravan site there - I believe it was called 'Bowles Caravan Siite', but am not sure'. We would travel on the train with our Mum from Somerset every year and stay for two or three weeks at a time. These holidays were some of the best times of my life and I remember them with great fondness. I would love to hear from anyone who knew my Mum and family and if you have any photos of them that would be so great too. This page was added by Lynette Raffell on 08/11/2013. We lived at 29 Second Avenue and I remember Mr and Mrs Boyle very well. He had several bee hives in the back garden and brewed his own dandelion and burdock wine. He also saw me struggling to make a go-kart and completed the job for me. After his passing his wife moved to Seaford and my mother would visit her. I am Ernie's cousin. 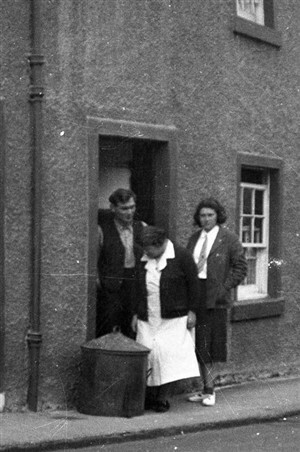 I also lived at 29 Second Avenue with our grandfather Ernest in the early fifties and remember Mr and Mrs Boyle. I remember the bees and in particular when they swarmed, that's when I would hurry into the bungalow out of the way as I was afraid of being stung. By the way how are you Ernie, and Stephen and Linda. I too remember the Boyles with great fondness. As a youngster I was very impressed that Mr. Boyle was a train driver. However I also remember one day falling down the 3 ft drop between our houses!